I am sure I am not the first mom in the world to constantly run into the problem of not correctly putting a sippy cup lid on when in a hurry. And as every mom knows, if that lid isn't on properly, there WILL be leaks. And no mom likes having to take the extra time to clean up the mess from said leak. So, the idea of the new Nuby Clik-It sippy cup line seemed rather ingenious to me. And it's quite simple. When the lid "clicks" it's locked on. 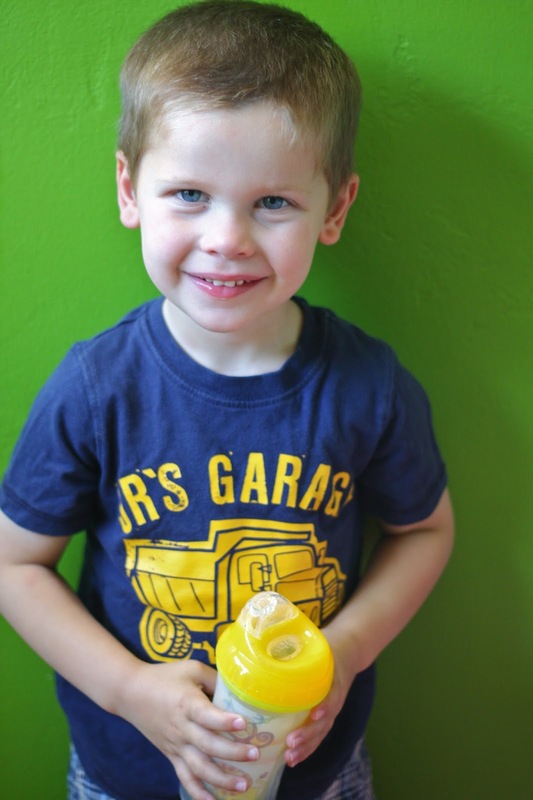 Connor and Isla had never tried a "sipper" cup before, where it is more like a cup as it doesn't have a spout. But they both like it and have had no problems drinking from it. And I like that the silicone sipper fits securely in the lid so I don't have to worry about it falling out (please tell me I am not the only mom that deals with parts falling out in sippy cups!?!). This basically makes the cups two pieces, which is another win in my book. This is especially important because those kids of mine are constantly emptying out our sippy cup drawer and those parts end up all over my house. 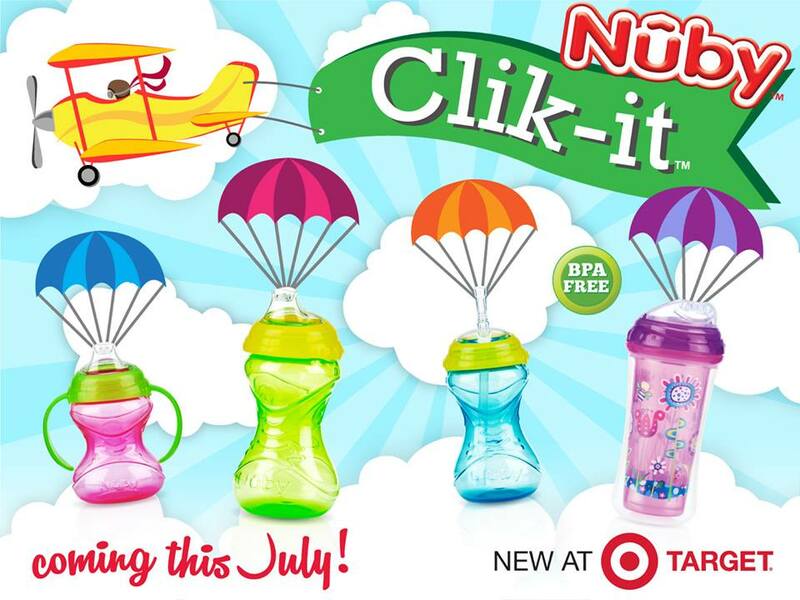 The Nuby Clik-It range of sippy cups are launching at Target this Monday, the 29th. Be sure to check 'em out the next time you are there. 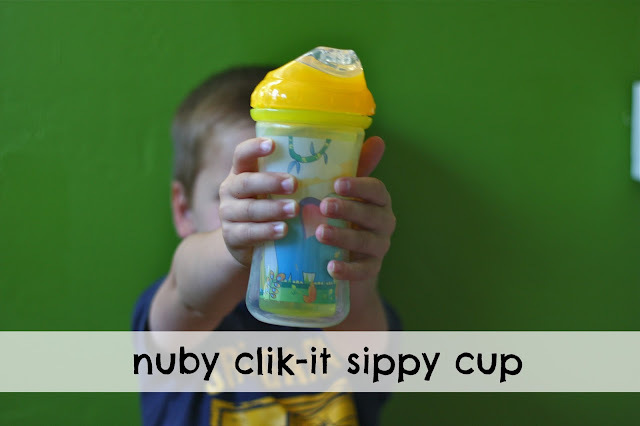 And if you can't wait until Monday, hop onto Nuby's Facebook page where they are hosting a giveaway for the new Clik-It cups.